During the Kentucky Rails to Trails Council (KRTC) meeting tomorrow (Tuesday) at 6:30pm, Lisa Brownell will do a presentation on her work on the Kentucky Abandoned Railroad Corridor Inventory. She will describe abandonments that have good potential to become rail-trails. Lisa is a gifted presenter and this should be a informative and enjoyable talk. KRTC meetings are open to all KRTC members and interested rail-trail supporters. Meetings are held at the Lexington Fayette Co. Urban Co. Government Building at the corner of Main St. and Martin Luther King Blvd. (next to the Kentucky Theater) in Lexington, Kentucky. Parking is available across the M.L. King viaduct behind the Police and Driver’s Registration. Today’s Lexington Herald-Leader had two informative and postive articles about rail-trails in Kentucky. It’s exciting to see people discussing rail-trails and their health benefits. 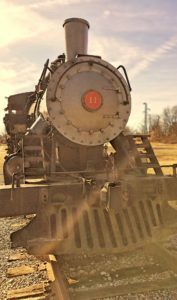 The first article describes how initial opposition turned into enthusiasm for a rail-trail in Muhlenberg County. I enjoyed hearing Muhlenberg County Judge-Executive Rodney Keith Kirtley, who is quoted in the article, speak at the 2004 Kentucky Rails to Trails Conference. He is a gifted speaker and very optimistic about rail-trails in Kentucky. When Muhlenberg County officials unveiled plans to turn an unused railroad right-of-way into a public walking and biking trail, property owners along the route ran roughshod over the idea. The 6-mile trail between Greenville and Central City, which opened in 2002, has become one of the most popular projects the county has ever undertaken, Kirtley said. And, he said, it’s starting to help county residents shed pounds and become more healthy. Interestingly, Kirtley said, some of the trail’s most vocal critics have become its most ardent supporters. In many rural counties, finding a place to exercise is a major roadblock. Many once-quiet country roads are abuzz with traffic today and are too narrow for safe or pleasant walking. Fitness centers outside of town are almost unknown. One of the ironies of the obesity epidemic is that the once-sturdy country farmer — who is more likely today than a generation ago to be overweight, thanks to labor-saving machinery — might have to drive to town to find a place to exercise. But finding a place in many smaller towns can be tough. Many lack places for indoor exercise or walking, or even commercial programs, such as Weight Watchers. Even when such places or programs are available, many working families might not be able to afford them, officials say. Sounds promising for rail-trails to me. Alana posted the old story about how the US standard railroad width of 4 feet 8½ inches is derived from the Roman chariot’s width. It’s a fun story about how government specs live forever. Go read it and then come back for my Paul Harvey impersonation. While it’s true that the modern standard gauge in the US matches the British gauge, it wasn’t always obvious that that would be the case. For quite a while the 5-foot gauge was popular, especially in the South. In various parts of the country, gauges varied from 2½ all the way up to 6 feet. It wasn’t until the end of the Civil War and the need for the reconstruction of the South that it became obvious that a standard gauge was needed. Even then, although most of the North was using 4′8½″, the need for many railroads in the South to interconnect with the Pennsylvania Railroad led to moving the entirety of the South to the Pennsy standard of 4′9″. It wasn’t until years later that the popularity of the current standard gauge won out. Now you know. You can read much more about this in the article “The Days They Changed the Gauge” from the August 1966 Ties magazine. The article tells the story of the dramatic change over of an estimated 11,500 miles of track to the 4-foot 9-inch gauge in just two days of May 1886. As an aside, I find it surprising to myself that this is the first post by Alana that I have commented on. Perhaps I’ll just say that I’m still thinking about her post on ritual and Seraphim’s comments about it. So true. I’m thrilled to announce that there is now a website for the Kentucky Abandoned Railroad Corridor Inventory. Packed with beautiful pictures, clear and accurate maps, and abandoned line descriptions, the site is a joy to read. Especially enjoyable are the highlighted lines. Having driven past some of them, and having enjoyed similar trails in Ohio and Michigan, I can visualize how wonderful they would be converted to bike trails. You can also get the full report in PDF format. The abandonment inventory is a great tool for rails to trails organizations. Of the roughly 1,200 miles of abandoned lines available in Kentucky, only about 15 miles have been converted for trail use. This means Kentucky ranks 47th in the states in terms of rail-to-trail conversions. Only Delaware, Alaska, and Hawaii have fewer miles. I hope that this inventory will help others see the possibilities and that we will soon be able to celebrate many more rail-trails in Kentucky. For a while now I’ve been trying to determine exactly when the old railroad bed between Wilmore and High Bridge was abandoned. As I noted on the doubling the tracks page of my High Bridge history, I thought it was in 1929. I found a new source that seems to confirm that date. “That nickname once aptly characterized the middle section of the CNO&TP, where 27 tunnels helped the line traverse 160 miles of rugged mountain country between Wilmore, Ky., and Emory Gap, Tenn., and kept an assortment of civil engineers busy almost from the day the line opened for traffic. Tunnels were numbered 1 through 27 (running from north to south). They ranged in length from 3,992 feet (tunnel No.2–Kings Mountain) to 189 feet (tunnel No.6). Trains traveled underground for five miles through these 27 tunnels. Tunnel openings were designed to be approximately 15* feet wide and 20 feet high at the top of the arch. Some of the arches appeared almost round, some resembled flat topped triangles, others were more jagged in appearance. The blasting techniques of the 1870’s left something to be desired. There’s also a beautiful cover picture of High Bridge on the April 1948 issue and a two page spread of High Bridge in 1905 in the January-February 1981 issue.